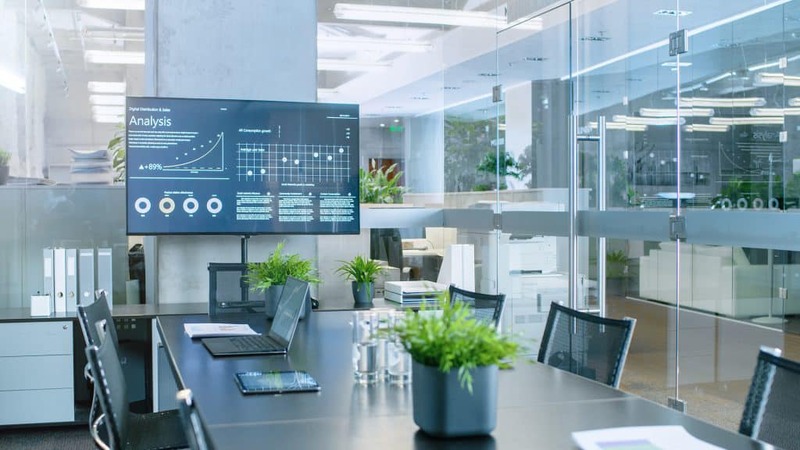 ScreenBeam 1100 4K wireless display and collaboration solution provides unparalleled deployment flexibility for employee and guest devices in ANY meeting space. 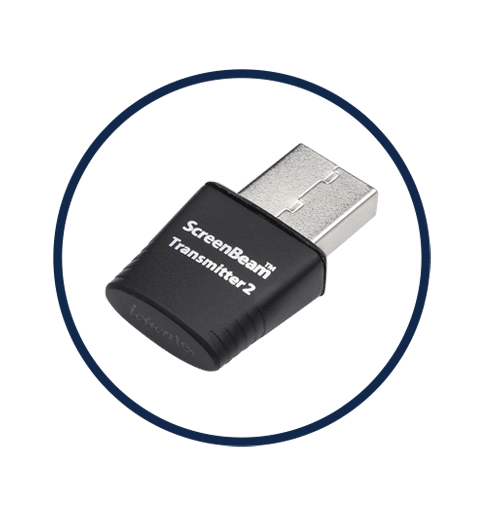 Get wireless screen sharing that supports native screen mirroring in your Windows, Android and Apple devices so you never again have to use an app, dongle or button. 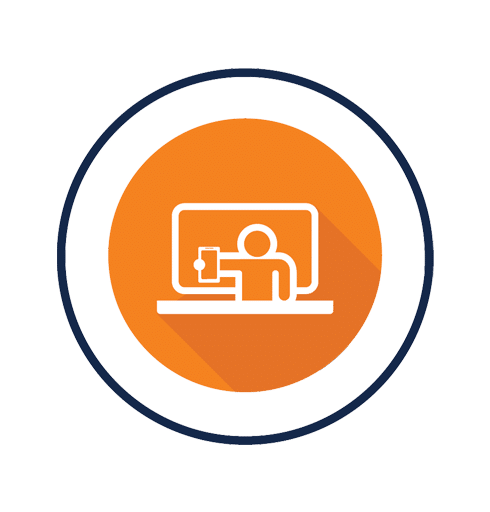 Combining local Wi-Fi mode connectivity with industry standard Miracast, and dual-network infrastructure connectivity with network bridge functionality delivers the most flexible deployment options for employee and guest wireless presentations. 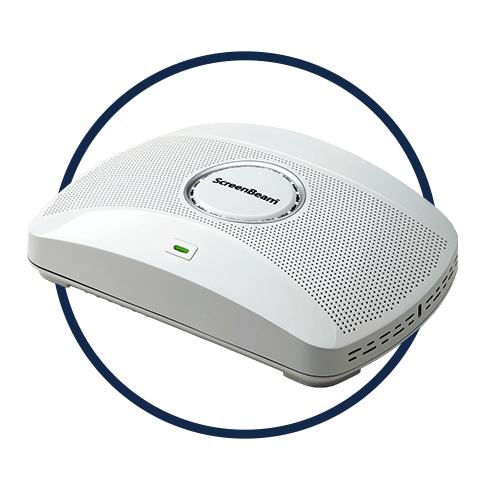 The ScreenBeam 1100 delivers an app-free screen sharing experience that brings intuitive collaboration to any meeting space or classroom. 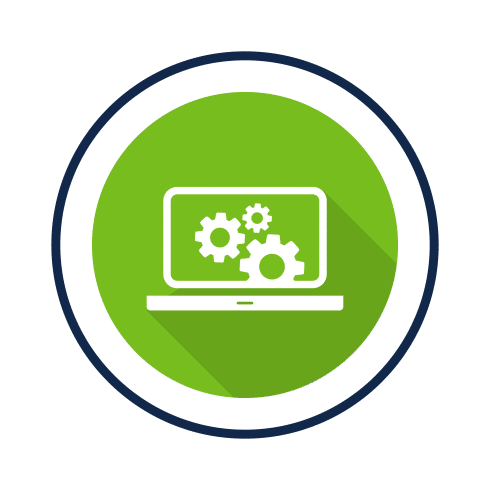 Need flexibility to securely leverage multiple connection options simultaneously to avoid complex network configurations? 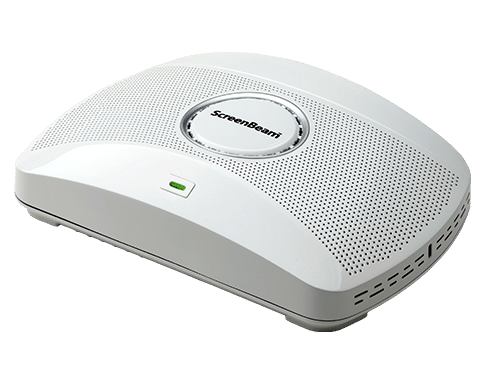 ScreenBeam 1100 uniquely combines local Wi-Fi mode with industry standard Miracast™, and dual-network infrastructure connectivity with network bridge functionality. 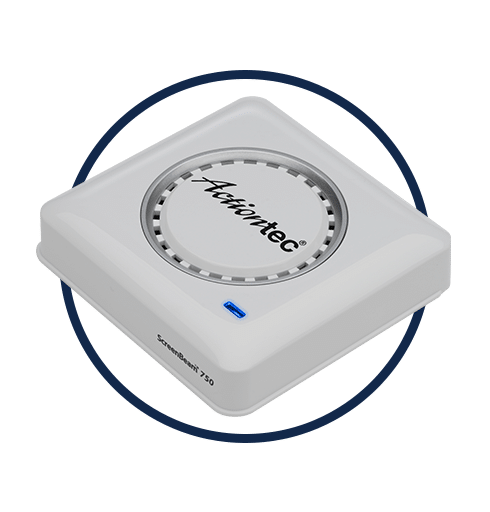 Both employee and guest devices have plenty of options to connect to the room display, reliably, securely and easily. 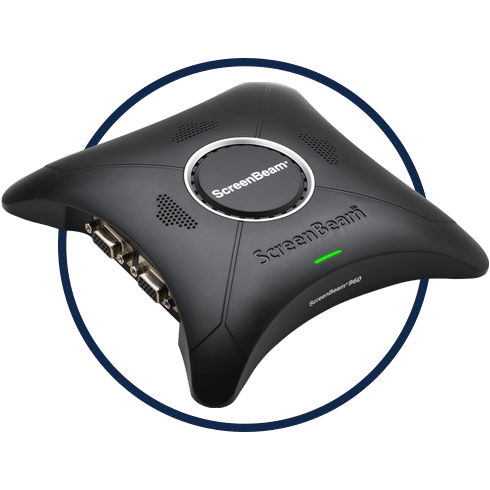 Unlike many application-based solutions, ScreenBeam natively supports Windows and macOS extended screen mode ensuring content privacy while keeping the device screen available for other actions. 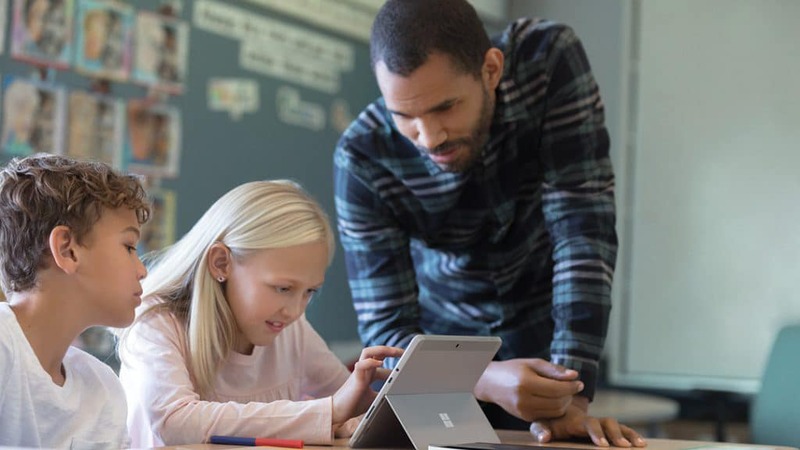 Enterprise-class Miracast technology means as long as you have a touch screen/room display and/or pen-enabled Windows 10 laptop or tablet, ScreenBeam (native in Windows 10 devices) lets you markup display content from anywhere in the room, and instantly save and share.